As grant professionals we are able to change the world in which we live. But, how do we write for change? 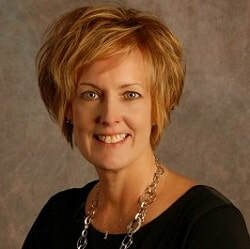 Debbie has more than 25 years of experience serving in the nonprofit sector. Over the past ten years, she has acquired more than $45 million in funds to support the needs of individuals and communities. Debbie holds a Master’s Degree in Non-Profit Management. From 2008 until 2016, Debbie served on the Board of Directors of the Grant Professionals Association. As President of the Association for four years, she led the organization through a critical transition period.